Paul Monahan|! !| director of clinical engineering at medical equipment consultant ISS solutions|! !| spoke in favor of the bill. Should New Hampshire require manufactures give independent repair shops the same information they give other authorized dealers? That’s the simple question raised by HB 1733, the “right to repair” act, but the range of testimony in front of Tuesday’s House Commerce Committee hearing showed how complicated it is to fix something these days. At first, you would think that the bill is aimed at the ubiquitous cellphone or laptop. Anyone who has had a broken iPhone screen knows how difficult it is to get it fixed at the genius bar, and sure enough, independent businesses like The iGuys Tech Shop in Conway and NH iPhone Repair in Bedford, Portsmouth and Plymouth were there to point out the absurdity of some of these situations. For instance, said Brian Clark of iGuys, Apple’s way to fix a Mac Pro with a faulty capacitor in the motherboard was to replace it with another motherboard with another faulty capacitor. Whereas Clark figured out how to fix it correctly for a lot less, but without the company’s help. If he had access to a schematic and was able to get the right parts, he would be able to figure out how to fix more things for less money. Clark got some push back from the Commerce Committee Chairman Rep. John Hunt, R-Rindge, who was an authorized apple dealer himself in the early eighties. But consumers have some rights too. “When I purchase a product, I should be able to do what I want with that product,” Clark said. New Hampshire isn’t the only state having this debate. Similar bills have been introduced in at least 19 states, said Gay Gordon-Byrne, executive director of The Repair Association, a national right to repair advocacy group. 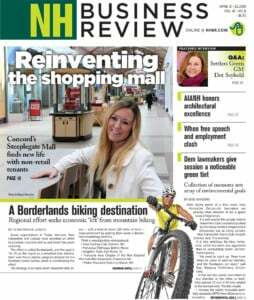 But New Hampshire would be the first to pass such a bill, and for good reason, said Matt Mincieli, the Northeast executive director of TechNet, a technology advocacy organization that includes companies like Apple, Amazon, Facebook, Microsoft, Verizon and Uber. Bills in other states, including Massachusetts, have gotten no traction. The bill would scare technology companies away from New Hampshire, he insisted, and it’s so broad that it would affect nearly every type of industry. The bill, he noted, didn’t just ask companies to reveal schematics, but also diagnostic software, services access passwords, updates and corrections to firmware (though advocates said it wouldn’t reveal encrypted security information). Indeed, the bill drew testimony from beyond usual technology suspects: securities companies, the entertainment and gaming industry and even farm equipment. Medical equipment companies testified on both sides of the issue. ISS solutions, a large medical equipment consultant, argued that manufacturers use proprietary information to lock out competition and jack up prices, which increases the cost of health care. 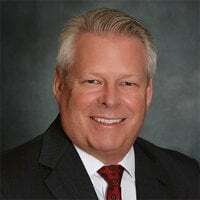 With so many systems interconnected, it’s better to work with one third party company than “calling in several manufacturers who all blame one another as the source of the problem,” testified Paul Monahan, ISS director of clinical engineering. Monahan cited a study that shows that independent repair brings down that cost from 4 to 6 percent, without compromising safety, and reduces problems caused by equipment repair by .0005 percent. The Medical Imaging and Technical Alliance, questioned the study, and argued that independent repair companies are not held to the same FDA standards. The debate drifted over into environmental questions. Proprietary software prevents overrides that compromise safety and environmental regulations, said opponents. But supporters of the bill, like Public Interest Research Group, argued making it easy to repair things is good for the environment. “New Hampshire throws away 1,500 cell phones every day, and 92 percent end up in our waste stream,” said Nathan Proctor, who directs PIRG’s right to repair campaign.